TAO will be making an audio/video recording to celebrate the 30th anniversary of Women of the Wall. This organization has been celebrating services at the Kotel in Jerusalem every month for 30 years against great adversity. Our gifted music director, Maria, will be guiding us in rehearsals before and/or after each TAO service leading up to the recording date. We hope you can attend as many practices as possible. 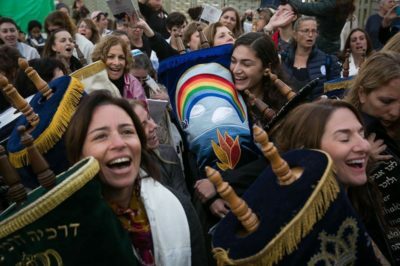 TAO will be one of hundreds – if not thousands – of congregations throughout the world recording this song to be shared by Women of the Wall worldwide – and our TAO website and everywhere else you can spread the word. This gives you an opportunity to get familiar with the music as early as possible. We want men’s voices and children’s voices, too, not only women’s voices.